Waterloo Rental Apartments and Housing for rent in Waterloo. Find Rental apartments in Waterloo and area! Looking for a fabulous Apartment for rent in the beautiful city of Waterloo, Ontario? Renter's Hotline is here to assist you with this task. We offer a fantastic service that will ensure a quick move into your new Waterloo Apartment rental. Whether you are a University student who is looking to live near the Uptown core, which is close to both prestigious Universities, Wilfred Laurier and the University of Waterloo, or a savvy business person looking to live near the heart of the financial district, such as RIM and Google, we can help you find your new Apartment rental. Waterloo is also home to many wooded areas and parks including Waterloo Park and RIM Park. These fielded areas are excellent places to pursue if looking for a sporting or picnicking location. 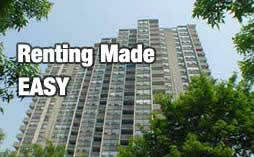 Contact Renter's Hotline today for fast matching in your next Apartment's for rent. At WATERLOO.RENTERSHOTLINE.CA you will find the perfect Waterloo Apartment rental for rent quickly and easily. RentersHotline.ca is a one stop source and solution for Waterloo tenants and Waterloo landlords to find and list their Waterloo rental availabilities. It has never been easier to find Waterloo rental Apartment's, or Apartment for rent in Waterloo! Locate your Waterloo rental Apartment simply by completing the form above. For more rental Apartment and Apartment's for rent in Waterloo and other areas, select the Advanced Search Button, or view our Waterloo coverage locations above. RentersHotline.ca is committed to offering you the best service possible. Every day new Waterloo rentals are posted by Waterloo property owners, managers, roommates and tenants. It doesn't matter who you are, waterloo.rentershotline.ca has something to offer you. If you have any questions or comments, please feel free to contact us about our listing and rental services. Renters Hotline is committed to providing you the fastest and easiest way to locate your new Waterloo Apartment rental, Waterloo sublet, and even Waterloo roommate. Our service has some of the most advanced search capabilities on the net to assist you in locating your next Apartment rental. To access the advanced search options, or to search other ares outside of Waterloo, click here.